Robot. 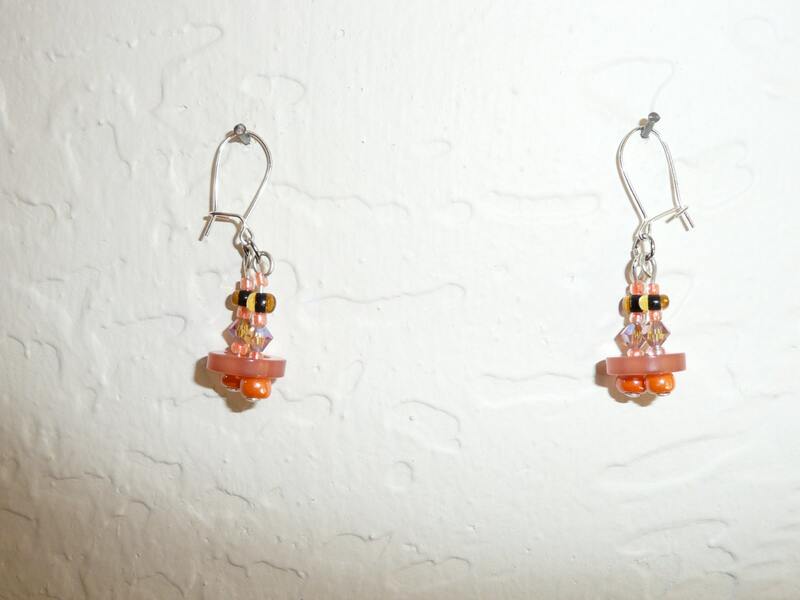 Orange earrings with buttons, swarovsky crystals and beads. 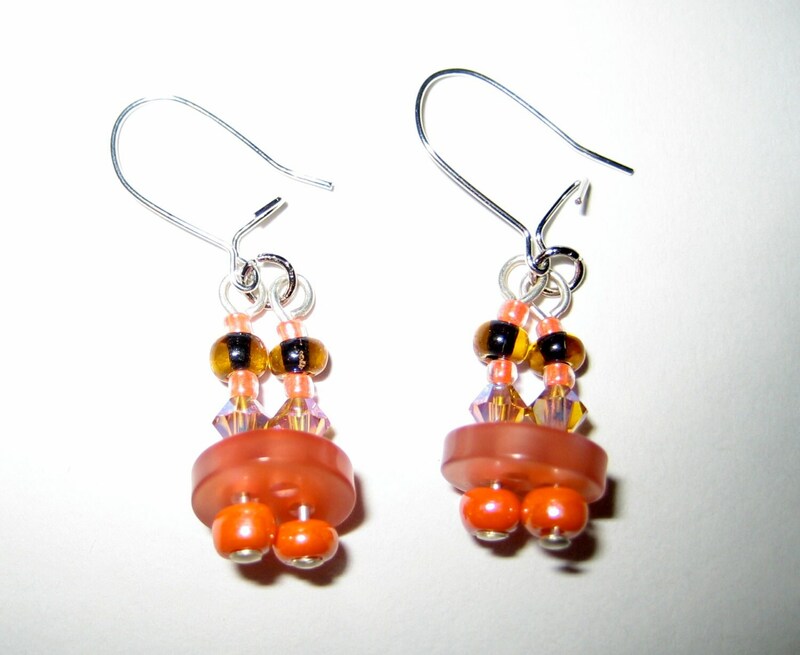 Cute earrings in orange and amber tones. Glass beads, swarovsky beads and buttons colorfully combined. Tip: Nice complement to orange, brown and amber outfits. Enjoy them!